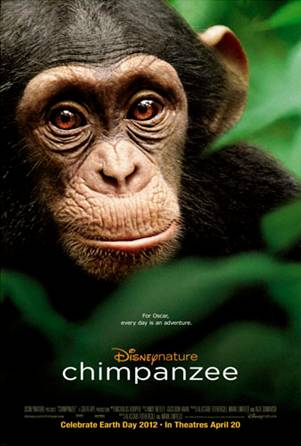 Disneynature's “Chimpanzee” swung into theaters April 20 with a $10.6 million opening-weekend performance. Since it proved so popular, Disneynature is extending the “See ‘Chimpanzee,’ Save Chimpanzees” conservation initiative for a second week. For every moviegoer who sees “Chimpanzee” through May 3, 2012, Disneynature will make a donation to the Jane Goodall Institute (JGI) through the Disney Worldwide Conservation Fund to protect chimpanzees today and tomorrow. This is a first-ever extension to a Disneynature conservation program.